Netflix has ordered a new eight-episode anthology series based on the music of Dolly Parton. Each episode of the series will be based on a song by Dolly Parton. Dolly Parton will serve as singer/songwriter, executive producer and will also appear in the series. About the upcoming project, Dolly Parton states: "As a songwriter, I have always enjoyed telling stories through my music. I am thrilled to be bringing some of my favorite songs to life with Netflix. We hope our show will inspire and entertain families and folks of all generations, and I want to thank the good folks at Netflix and Warner Bros. TV for their incredible support." An internationally renowned superstar, the iconic and irrepressible Dolly Parton has contributed countless treasures to the world of entertainment. Achieving 25 RIAA certified gold, platinum and multi-platinum awards, Dolly has had 25 songs reach No. 1 on the Billboard Country charts, a record for a female artist. Dolly has garnered 7 Grammy Awards, 10 Country Music Association Awards, 5 Academy of Country Music Awards, 3 American Music Awards and is one of only five female artists to win the Country Music Association's Entertainer of the Year Award. 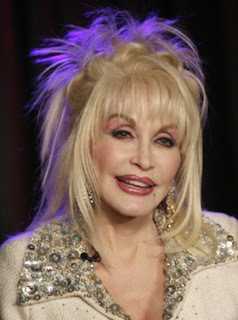 Making her film debut in the 1980 hit comedy 9 to 5, Dolly earned rave reviews for her performance and an Oscar nomination for writing the title tune, along with her second and third Grammy Awards. Roles in Steel Magnolias, Best Little Whorehouse in Texas, Rhinestone, and Straight Talk followed. Dolly saw a cherished dream become a reality in 1986 with the opening of her own theme park, Dollywood, in Pigeon Forge, Tennessee. She has her own star on the Hollywood Walk of Fame and in 2004, the U.S. Library of Congress presented her with their Living Legend Award for her contribution to the cultural heritage of the United States. In December 2015, more than 13 million tuned into Dolly Parton's Coat of Many Colors and was the most-watched film on broadcast networks since May 2012.